We are pleased to announce that we have recently gained planning approval for a new dwelling in Oliver’s Battery, Winchester. Located in part of the existing property’s garden, the proposal will provide a contemporary family home for our clients son. We’re really looking forward to seeing this project develop on site! Last week we were pleased to receive planning approval for our project in Nunton. The proposal is for a sensitive redevelopment and renovation of a 1960s bungalow to form a contemporary chalet style family home - we can’t wait to see this transformation begin! We are happy to announce that last night we gained planning approval for our scheme in Devizes for a new football clubhouse & facilities! Due to the nature of the proposal, the application was taken to committee where we were given unanimous approval for the scheme. This is a great approval & we’re really pleased our hard work has paid off! A great end to the week with planning approval granted for our project at Suddern Farm! We have been working on proposals for this scheme for some time so it is great to finally get approval! Another successful end to the week with another planning approval! Clearbury View is located in the village of Redlynch, and proposes to split the existing large plot in half to form a new detached dwelling to the east of the existing property. Our client came to us following an earlier refusal on the site and we are really pleased to have been able to achieve a positive result! We've had a great end to the week (and great start to the bank holiday weekend!) having gained planning approval for a new split level dwelling in Gomeldon. We have been working on proposals for the vacant site for several years so we are very happy to get this great approval on a tricky site! Check out our project page for more information on the project! We are delighted to announce that we have been granted planning permission for our project for 2no. detached chalet bungalows to the rear of No.82 Britford Lane. The planning application was taken to committee last night, and after some discussion the application was approved! The site is adjacent to the Britford Lane Nursery site that we gained planning permission for earlier this year, this new site is a proposal for 2no. detached chalet bungalows to the rear of No. 82 Britford Lane. Set within the mature rear garden of the existing house, we were careful to sensitively form designs that responded to the surrounding area. 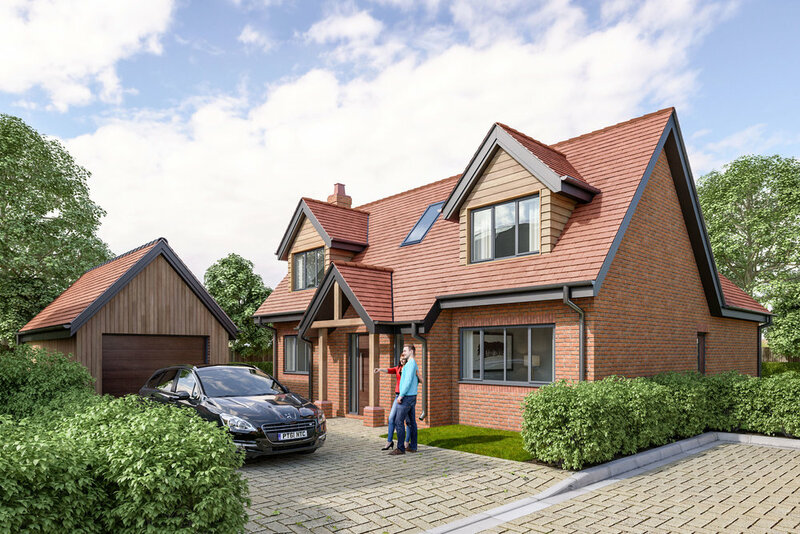 Overlooking to neighbouring properties has been minimised through the use of a chalet bungalow design, with bedrooms located in the roof space and dormer windows located only on the front elevations, looking towards the Britford Lane Nursery site. Access to the new dwellings is proposed to come off the new access road for the Nursery, helping to minimise impact on Britford Lane. We are really pleased with this outcome and can't wait to see this project start on site!